Samsung is BIG on everything, and if the company was in the U.S., I bet they would be from Texas – where everything is done big. Samsung is great for coming out with special edition phones in different colors and themes, and while I love some on these special colors, my only complaint is that they always come out after I have already purchased my device. I am sure it is simply a ploy to round-up some last-minute buyers after Samsung has exhausted all of sales they can squeeze out the usual white and black models, but a little selection from the beginning would be nice. 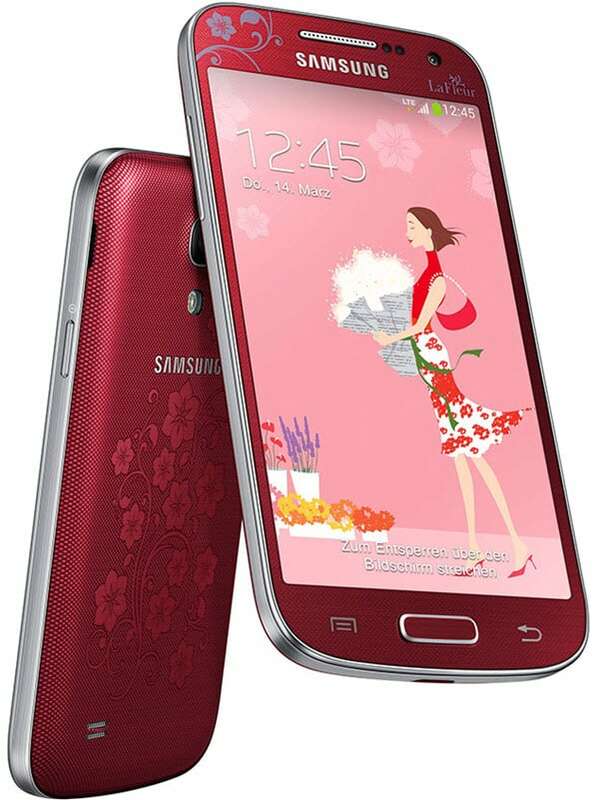 Last year at this time, Samsung announced the La Fleur collection for the Samsung Galaxy S III, Samsung Galaxy S III Mini, Samsung Galaxy Ace 2, Samsung Galaxy S Duos, and Samsung Galaxy Ace Duos – so it is not surprising that they are doing the same for specific models this year as well. 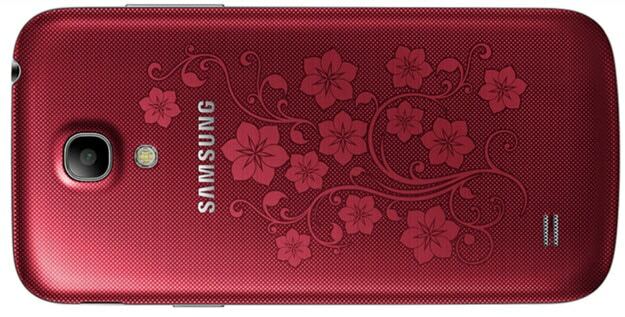 The design adds no new specifications to the devices, just the “cutesy” design on the outside. Earlier this month, Samsung officially announced the La Fleur design for the Galaxy S4 mini will be released in Germany to go on sale in January 2104 for approximately 417 Euros or about $575, which is quite a bit higher than the regular Galaxy S4 mini. According to several tweets from Sam Mobile, we will also see this Wine Red La Fleur editions expanded to the original Galaxy S4, as well as the Galaxy Trend, Galaxy Core, and Galaxy Flame Lite. Several weeks later it looks like a White La Fleur design will be available on the Galaxy Flame Lite and the Galaxy S3 mini. There are no new pictures of the other models yet, and no word exactly where these models will be available, but mostly likely parts of Europe and Asia. Let us know on our Google+ Page what you think about these red and pink beauties – you like, or it is a no thank you on your part. I am secure enough in my masculinity to say that I think they are done very nicely…a little late in the game, but a nice way to make some last-minute sales until the new models come out later this year. The post Samsung to Extend its La Fleur Editions to the Galaxy S4, Galaxy Trend, Galaxy Core and Beyond appeared first on AndroidHeadlines.com |.